Home • Blog • Student of Excellence 2019 entries now open! Those who have visited us here at Ragdale Hall Spa will know of our extensive menu of treatments. To deliver the vast range on offer we employ an elite team (or a small army!) of over 130 highly trained therapists committed to ensuring you, our guests, have a truly amazing experience with us. Our Recruitment Team works with colleges around the UK to develop and nurture beauty students – our therapists of the future. Of these, 27 colleges who meet our strict training criteria are awarded Ragdale Hall ‘College of Excellence’ status. One of the many benefits of being a College of Excellence is they are eligible to enter our annual Student of Excellence competition. 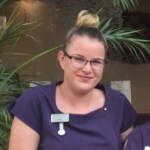 As we gear up for Student of Excellence 2019 – sponsored by Decelor, we caught up with one of this year’s finalists, Laura, to hear all about her first six months working as a Beauty Therapist at Ragdale Hall Spa. As a finalist in the Student of Excellence 2018, Laura gained a fulltime Beauty Therapist position, along with a place on the Advanced Beauty Therapy Training Programme and a cash bonus. 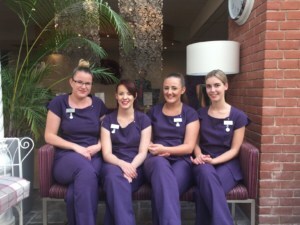 “My first six months as a Beauty Therapist at Ragdale Hall have been absolutely brilliant. 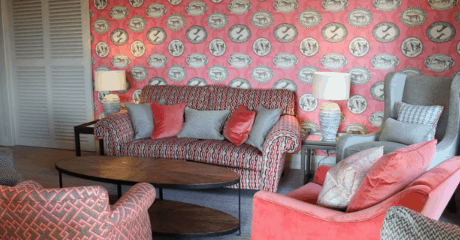 I’ve enjoyed every moment, and I can’t quite believe how far I’ve come in such a short space of time – it only seems like yesterday I was sat in a career talk at college hearing from Ragdale Hall Spa about the competition! Little did I know, it would be the start of such an exciting journey. “The competition itself was so much fun and I loved taking part. When I first heard I had been placed as a finalist, I was over the moon and so proud – I knew I’d worked hard to get there, but I never dreamt I would actually do it. “The beauty industry is a competitive and challenging environment when it comes to employment opportunities, and I knew from previous experience that securing a position in a reputable company is not easy. As I was nearing the end of my college course by the time the competition finished, it was such a huge relief to know I had secured a fulltime job with guaranteed training and development included. 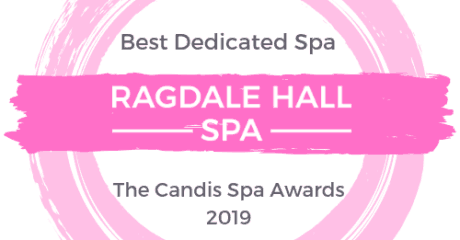 “Soon after the competition ended, Ragdale Hall organised for me to carry out a week-long work experience placement which gave me an insight into how the Spa runs and works, and how all departments work alongside one-another. I soon found out that everyone is so happy and friendly and would give me the time to help me find my way, or to understand something I was unsure of. “During my work experience I began my training by carrying out treatments on others that work here. When you’re learning how to do treatments, you soon begin to realise it’s the small details that matter the most. “The training was very relaxed, and introduced me to different ways to do treatments, but what I really liked about it was that it wasn’t too intensive, so I had time to take it all in. It also gave me knowledge on the different products we use at the hall, and most importantly, how they work together. Work experience was a great way to ease myself in before I started my induction. “My first few months in the job gave me a great introduction to the spa industry, and the busy working day of a beauty therapist. It also gave me a good understanding of Clarins, Decleor, Elemis, OPI and Spa Find professional products, and how to perform treatments of a high standard using techniques specific to the brand. There’s so much flexibility with the direction in which you want to progress your career with a brand, and I love that. “Six months in, I’m really enjoying it. I like that you’re always busy with something to do, and I like that my working day is all planned out for me. I love meeting different guests every day too – the other day I had a lady from Malta who was here on her holidays. No two days are the same at Ragdale. “I’m also so much more confident in my ability with all of the training and guidance I’ve received. It’s such a professional environment, and I always strive to ensure every treatment I deliver is perfect. “A typical day for me starts at 8.30am by collecting my schedule for the day and checking any health questionnaires for the guests I’ll be doing treatments on. Ahead of my first treatment, I will set up the room before collecting my guest. Treatments can vary, and in a typical day you could have anything between seven and nine treatments on your schedule. Today for example, I have a luxury pedicure, a face and back therapy and then I’ll take a rest break. I then have a full body scrub and a facial before lunch, and I will finish my day with a scalp massage. 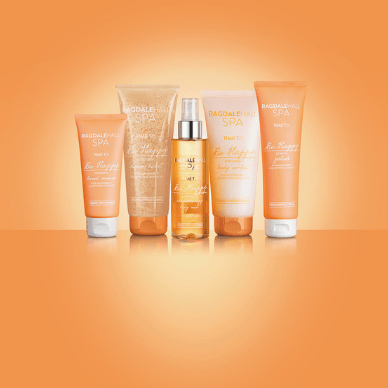 “My favourite treatment to carry out is a scalp massage. I really enjoy doing it because it’s so relaxing and creates a nice tranquil and peaceful atmosphere. It’s a lovely treatment for guests to start their stay with, as they often tell me they leave the treatment room feeling as though they’re floating on a cloud. What better way to get into relaxation mode? 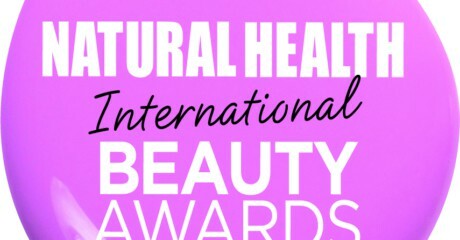 “For me personally, I entered the competition because I wanted to start my career in beauty with a reputable company who I knew would be able to provide me with a high standard of continuous training and development. I’ve made some lovely friends through the competition and during my time here, and it’s great that we all go on the journey together. “My top tip for this year’s entrants is to make sure you’re fully prepared for the competition. Think everything through to the finest detail, and make sure you have all the kit and equipment you will need on the day. Standards at Ragdale Hall Spa are high, so presentation is key – make sure you look smart and presentable on the day.